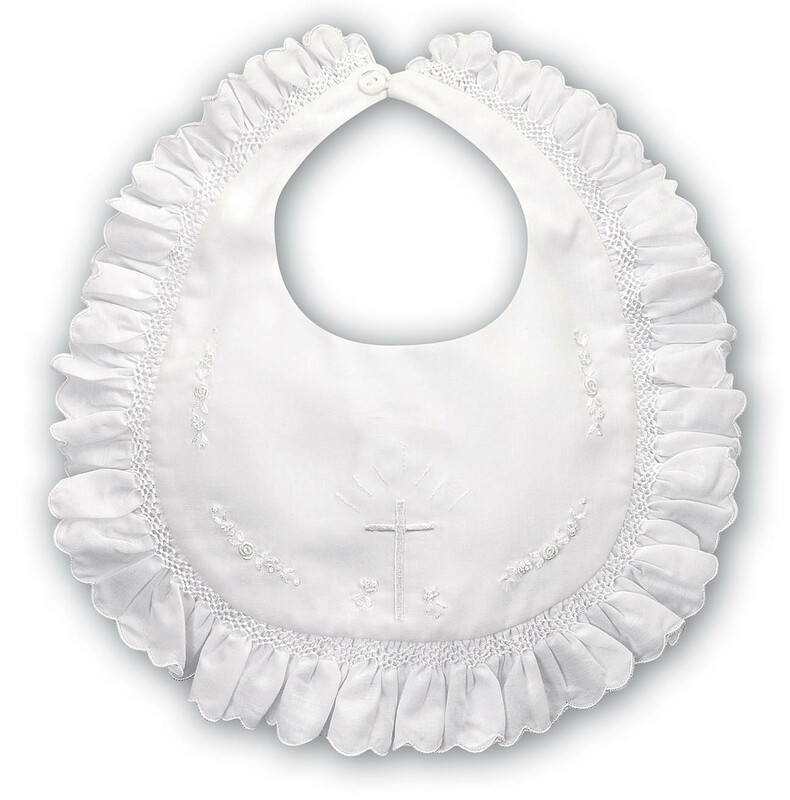 This beautiful new white cotton blend christening bib is made by Sarah Louise, a leading British designer of beautifully detailed baby clothes for more than 20 years. 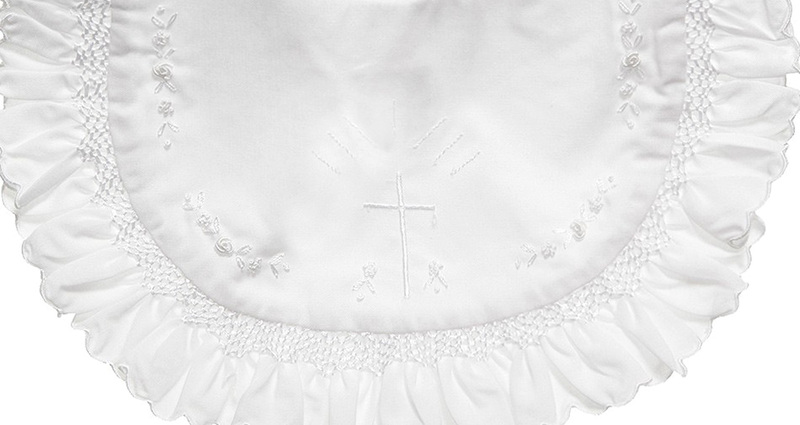 It features an embroidered cross in the center with delicate white embroidered rosebuds edged with white smocking and a ruffled edge. 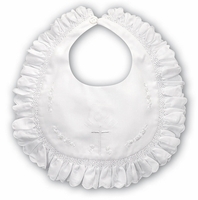 Note: This beautiful bib is also available in ivory. See below.